Adapted with permission from the author from materials prepared for a New York Times Book Review (Aug. 14, 2017). In 1849, Lincoln’s single term in the House of Representative had ended without distinction, and his career-making debates with Stephen A. Douglas lay nearly a decade in the future. With no clear future in politics, he returned to his home in Springfield, Illinois and to workaday lawyering. 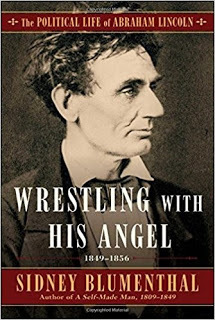 As Blumenthal neatly puts it in this vividly written, wide-ranging, and often surprising account of the president-to-be when few but himself supposed that he was destined to make an impact in public life, “Politics forgot about Lincoln, but he did not forget about politics.” Lincoln had been bustled unceremoniously off the national stage sooner than he wished, but he was far from defeated. Blumenthal shows us a man intensely engaged in the politics of the time, and deftly maneuvering through the partisan shoals and reefs of one of the nation’s most turbulent decades. It was an era that was rife with “Premonitions of civil war, shattering deaths, fatal compromises, crushing defeats, corrupt bargains, brazen betrayals, and reckless ambition joined in a pandemonium of political bedlam,” Blumenthal writes. For much of the period, Lincoln was overshadowed by his longtime rival, Illinois Senator Stephen A. Douglas, the squat, hyperkinetic demagogue who bestrode the antebellum landscape like a political colossus. “His rise was so meteoric that he seemed an unstoppable force of nature,” writes Blumenthal. “His career was a series of risks and gambles. He speculated in politics; he speculated with money; he speculated on money in politics; and that speculation made him successful in politics, which in turn made him a fortune.” Casting himself as the West’s voice in the Senate, he tirelessly advanced the interests of his friends, defended the South, and blared forth his mantra of “popular sovereignty” -- “a pastiche of plebiscitary democracy and states’ rights that he propounded as a constitutional principle,” according to Blumenthal -- as the cure-all remedy for the nation’s deepening anguish over slavery. He had no interest in the moral dimension of politics: his rabble-rousing speeches swarmed instead with colorful invective, persuasive bigotry, and utter contempt for anyone who dared speak up for the slave. That said, he was one of the most brilliant political tacticians the United States has produced. It was really Douglas who brought the immensely complex Compromise of 1850 to fruition, rather than Henry Clay who is usually given all the credit. But Douglas’s crowning, if ultimately catastrophic, achievement was the Kansas-Nebraska Act of 1854, which forms the central armature of Blumenthal’s narrative. Douglas’s main motive was to create speculative opportunities for himself and his friends for the development of a transcontinental railroad. He guaranteed the support of the South by opening those territories, and implicitly the rest of the West, to slavery by leaving it up to the inhabitants of each territory to declare it slave or free. Along with his unusual moral depth, Lincoln also possessed a tough-minded taste for the rough side of politics. He knew that the Kansas-Nebraska Act may have been the devious mud-smudged product of bribery and coercion, geared mainly to facilitate the laying of railway track, but “It came from politics, and it was only through politics that Lincoln believed its corrosive effects could be countered.” But where exactly did he belong in the shattered political landscape of the mid-1850s? His old Whig Party was a ruin. He shared virtually no views at all with the pro-slavery Democrats. He was not an abolitionist. Nor was he a Know-Nothing, like many of his former Whig friends. “How could I be?” he rhetorically asked. “How can anyone who abhors the oppression of negroes be in favor of degrading classes of white people?” Yet he knew that if he was to have a political future he needed a vehicle. He must be something, “or forever float about in the great political sea without compass, rudder, or sail,” as his law partner William Herndon put it. That something would eventually be the infant Republican Party which, by 1854, was just beginning to coalesce from scattered bands of opponents of the Kansas-Nebraska Act, rootless ex-Whigs, disaffected Democrats, and politically-minded abolitionists. Blumenthal brilliantly picks apart the serpentine maneuverings undertaken by Lincoln and his allies to capture the support of the short-lived but for a time powerful Know-Nothing Party, which rose from ashes of the ruined Whigs, without being tainted by its anti-immigrant bigotry. His acute eye for the nuances of political rhetoric and for the tactics of the committee room nearly always pay off with insight into the larger machinery of political maneuver. We see Jefferson Davis, the future president of the Confederacy, political heir to the states rights dogmatist John C. Calhoun, and the leading advocate for southern nationalism, Secretary of War, literally whispering into the ear of the pliable, passive, alcoholic President Franklin Pierce, to advance the interests of the slaveholding South. 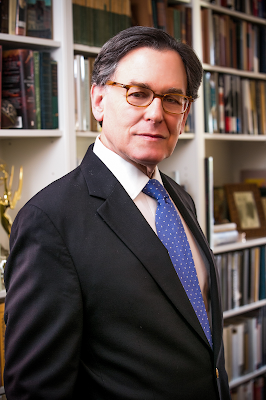 Blumenthal’s account hinges largely on the Kansas-Nebraska Act of 1854, crafted by Stephen A. Douglas, which opened those territories, and implicitly the rest of the United States to popular sovereignty. The act overthrew the compromises of 1820 and 1850 which, however imperfect, had papered over the growing tensions between North and South over slavery. Douglas, deal-maker that he was, failed to grasp the outrage the act would spark across the North. Even racist whites did not want to compete for work with slaves; envisioning slave masters exporting their human property westward, whites so their own opportunities shrivel. Already divided between its Northern and Southern adherents, the Lincoln’s Whig party withered and died. Irreconcilable fissures over slavery began to appear in the dominant Democratic party as well. From these and other fragments, the Republican Party would soon emerge. It was an era when politicians could be blunt, graceful, reflective, and entertaining all at the same time, and could expect what they said to be appreciated and understood by a public with far less formal education than voters have today, when political speech has shrunk to barely comprehensible tweets and sound bites. We may wish to return to a kinder and gentler, more inspiring, more honorable, or more enlightened time. But every age has been as fraught with anxiety and dread as our own. At the same time, Blumenthal reminds us that the titans of the past were not demigods, that every age has been fraught with political anxiety and dread, and that in government, times are always tough, and the future uncertain. Fergus M. Bordewich is a member of the Civil War Round Table of the District of Columbia and has been a speaker to the group on several occasions. His most recent book is The First Congress: How James Madison, George Washington and a Group of Extraordinary Men Created the Government. He is also the author of America's Great Debate: Henry Clay, Stephen A. Douglas, and the Compromise that Preserved the Union.